In 1857 UVM graduate (1839, 1845) Rev. John Henry Hopkins, Jr. wrote a hymn that became a beloved Christmas carol. 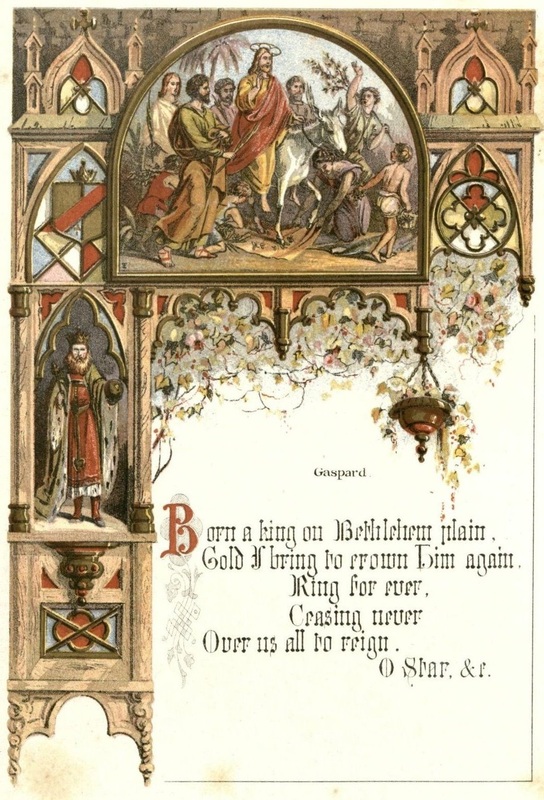 Some accounts say he wrote “The Three Kings of Orient” (now known as “We Three Kings of Orient Are”) for a Christmas pageant at the General Theological Seminary, while others say he wrote it for his nieces and nephews in Burlington, Vermont, where his father was the Episcopalian bishop. He included it in his 1863 collection, Carols, Hymns, and Songs, and in 1865 it was issued as an illustrated seasonal gift book. 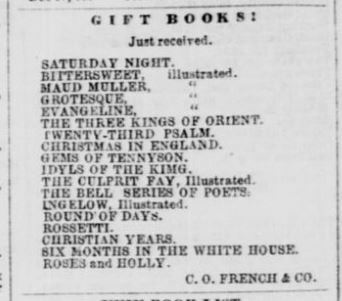 A search of the Burlington Weekly Free Press, Hopkins’ hometown paper, found that a local bookseller offered Three Kings of Orient for Christmas giving in 1866. Our copy was given to a Kitty Thompson by her Uncle Frank for Christmas in 1870. 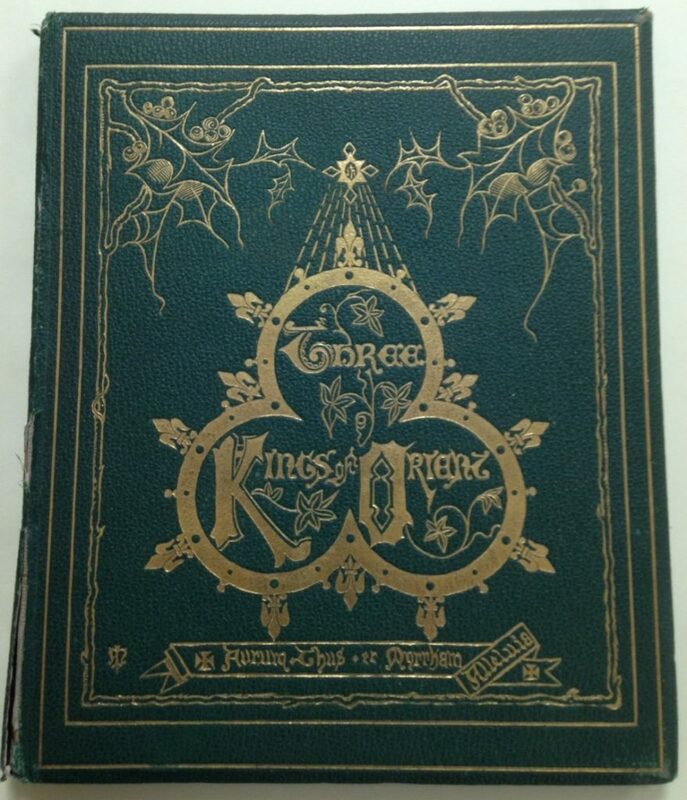 This entry was posted in Rare Books, Vermontiana and tagged Christmas carol, Christmas gift book, John Henry Hopkins Jr., We Three Kings. Bookmark the permalink.